The final preseason event for the Northwest. With many schools on a quarter system, and thus not starting up until late September, the Northwest ultimate season tends to get started a little later than in other parts of the country. While many teams are participating in the first round of sanctioned tournaments this weekend, the Bellingham Invite is an unsanctioned warm-up tournament giving one last chance for Northwest teams to figure things out before games start to count. As usual, there are high expectations for a bucket of bids for the Northwest women. This extension of the preseason gives a chance to assess how the region is shaping up. Like last year, the women’s side of the 2019 Bellingham Invite features five teams in a one-day round robin. The women get Sunday this year, while the men play on Saturday. Along with host Western Washington, UBC, Oregon, and Whitman return from 2018, while Victoria replaces usual participant Washington, who passed due to attending the Santa Barbara Invite next weekend. The #7 British Columbia Thunderbirds had another strong year in 2018, but fell short of preseason expectations that had them as the top contender to knock off Dartmouth. But their experienced squad has high internal and external expectations in 2019. “Our goals and expectations for this season are the same as every year: to win Nationals,” said captain Julia Zhang. To that end, UBC returns perennial POTY-candidate Ellen Au-Yeung, power-thrower Janelle Siwa, and speedy cutter-defender Naomi Morcilla as fifth years, and Zhang looks ready to dominate downfield. #6 Oregon Fugue had another successful season in 2018, holding seed with a fifth place finish at Nationals. POTY-candidate and U24 returner Ella Hansen dominated the assist and block categories for Fugue in 2018, and fellow fifth year returner Morgan Caldwell led the team in goals. They lose Hayley Wahlroos, Sarafina Angstadt-Leto, and Gabrielle Aufderheide, but bring back 2017 ROTY (and U24 selectee) Maddy Boyle and 2018 ROTY contender Rachel Hess. The #25 Whitman Sweets will miss the Soo twins, Alissa and Linnea, who led the 2018 team in assists and goals, as well as eight other 2018 graduates. However, Whitman brings in an even larger freshman class notably featuring dynamic cutter and defender Mira Anderberg from BUDA, as well as cutter Ellie Sutphen (Ingraham High School). Expect rookie Kaia Roast to play a major role in the backfield along with co-captains Akane Kleinkopf and Hannah Filley, perhaps allowing hybrids Chloe Carothers-Liske and Livia Amorosi to spend more time downfield alongside senior captain Mackenzie Timbel. It’s a new beginning for the Victoria Vixens, as the last of their players who were on the team for their last Nationals trip in 2015 have graduated. After seven years guided by the Bruleighs, they also have a new coaching team: Trevor Knechtel (UVic and TC U20 and U24) assisted by Vixens alum Alex Harned. 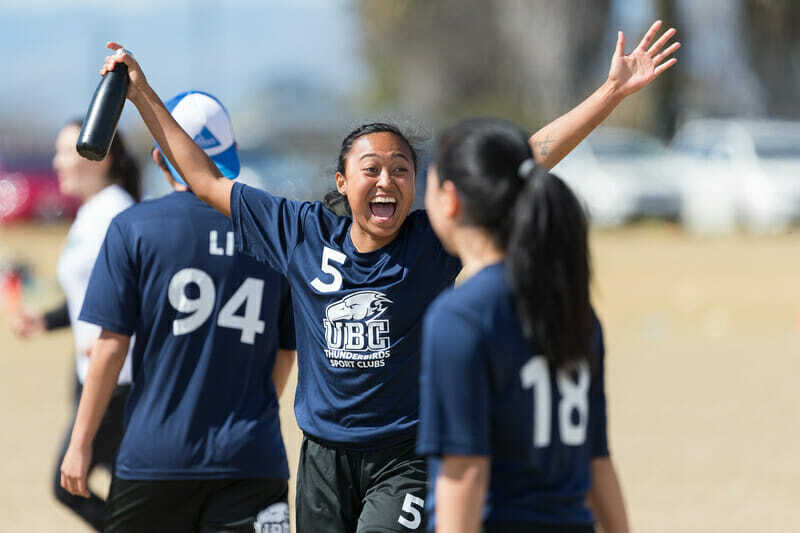 The 2019 Vixens are captained by Kathy Hong, Candace Darling, Sarah Grundy, and Juli Ohsadaare and add a bunch of experienced rookies from the Vancouver youth scene. The competition in the lower rungs of the Northwest appears to be fierce, in no small part due to the potential of the new era of Vixens. 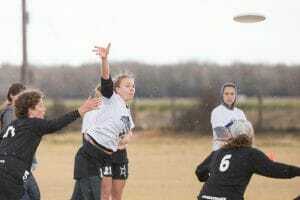 Comments on "Bellingham Invite 2019: Tournament Preview (Women’s)"